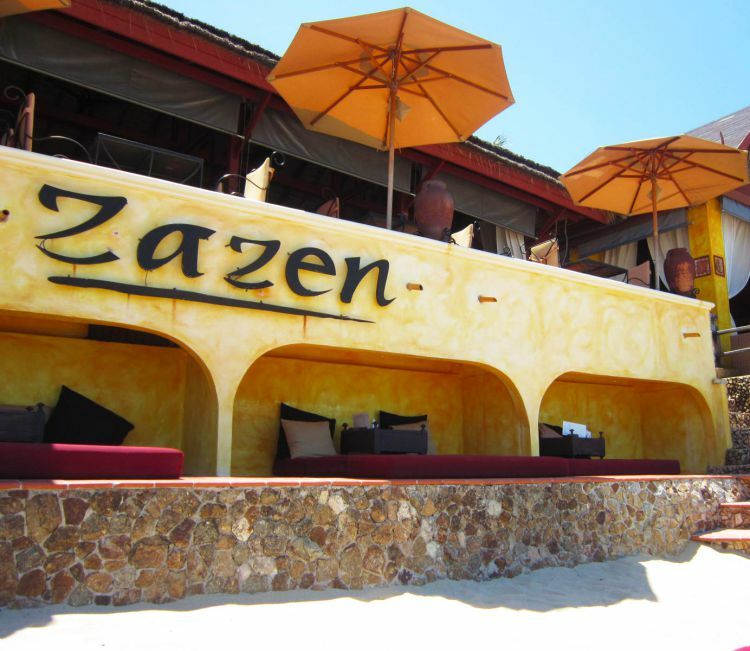 Zazen… The perfect end to our trip with great food, sunshine and a spa! Just what we needed after three months of travelling – somewhere calm, zen-like with a chilled out vibe and a chance to have a bit of luxury before heading back home. 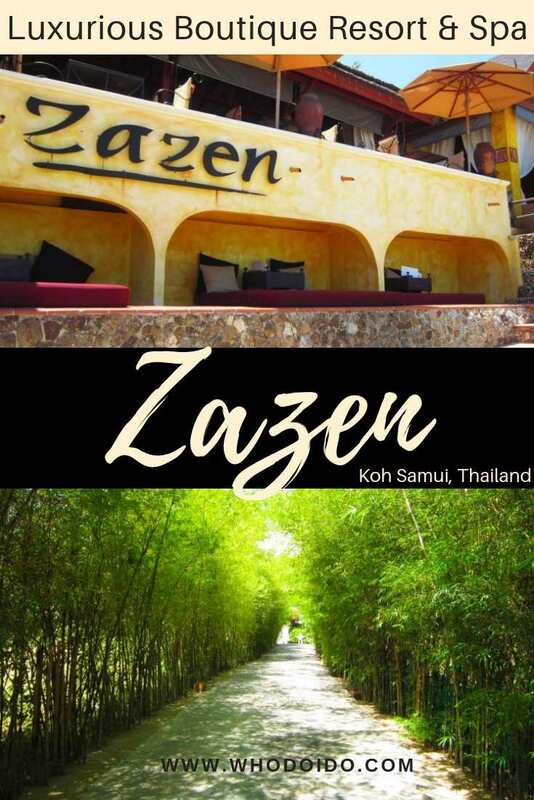 Zazen Boutique Resort & Spa, a stunning four star boutique hotel and spa is located on the beautiful Bophut beach, north of the island of Koh Samui and close to the cute Fisherman’s Village. Zazen is taken from the Japanese meaning “finding inner peace”. I had stayed here with my sister when the hotel first opened, many many years ago and thought it would be great to stay here again with Ian. Exactly how I remembered … a Japanese styled theme with a very relaxed atmosphere. 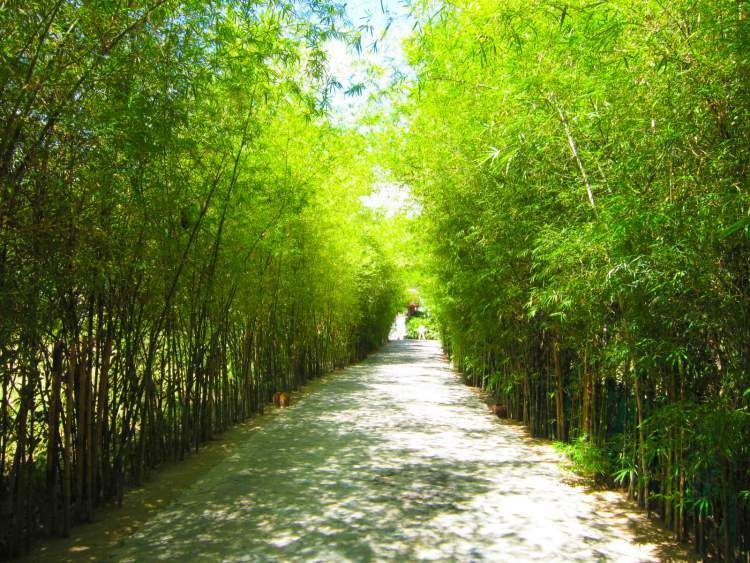 Driving along the ‘bamboo arched’ driveway to the reception made us feel as if we had been whisked off to Japan. The staff at reception were all very welcoming and offered us a cold towel to freshen up and cool, refreshing, fruit cocktails to quench our thirst. 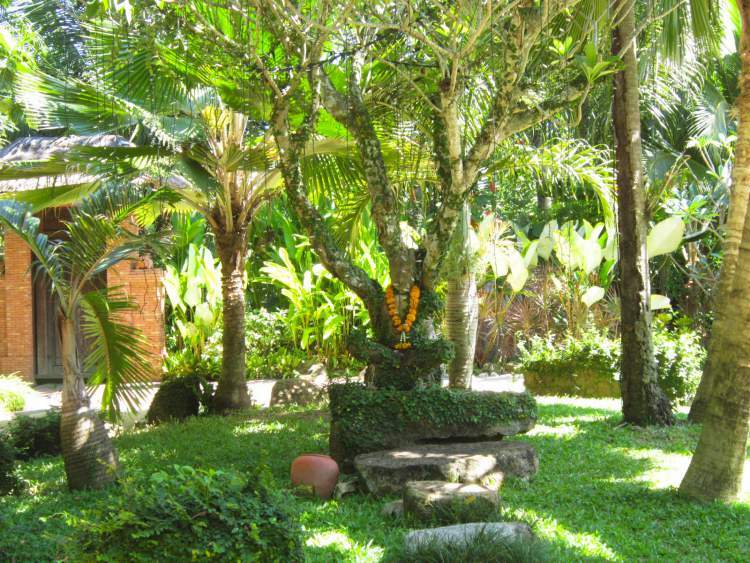 We had booked a quiet, secluded garden deluxe bungalow – upon sliding open the wooden door, the king size bed took centre stage at the bungalow. Offering a contemporary design and opulently decorated with Asian handcrafted ornaments, artifacts and a huge mirror on the side wall. The king size bed was oh so comfortable with crisp white sheets and an abundance of pillows and cushions. The bungalow had lots of little touches to make the stay even more comfortable, such as a day bed located on the opposite side of the room … perfect for lounging around on. 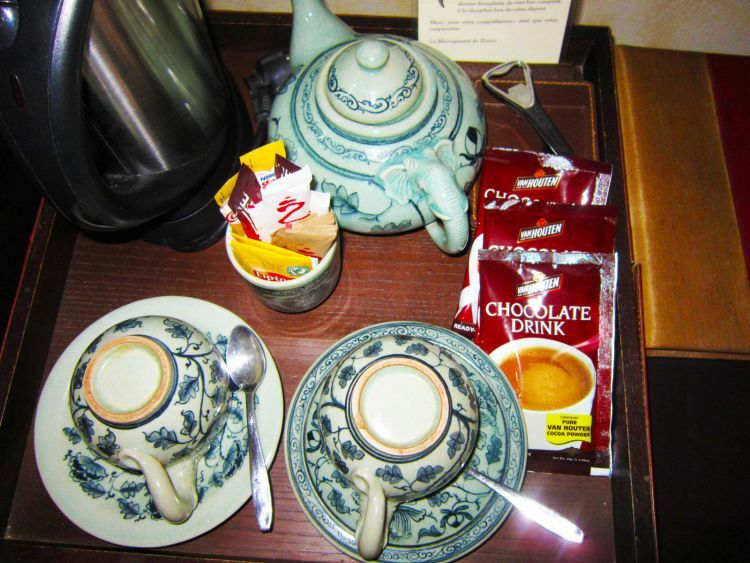 Many modern amenities were also available in the room including Flatscreen TV, DVD, mini bar, fridge, coffee and tea making facilities, complimentary water, silk dressing gowns and slippers. 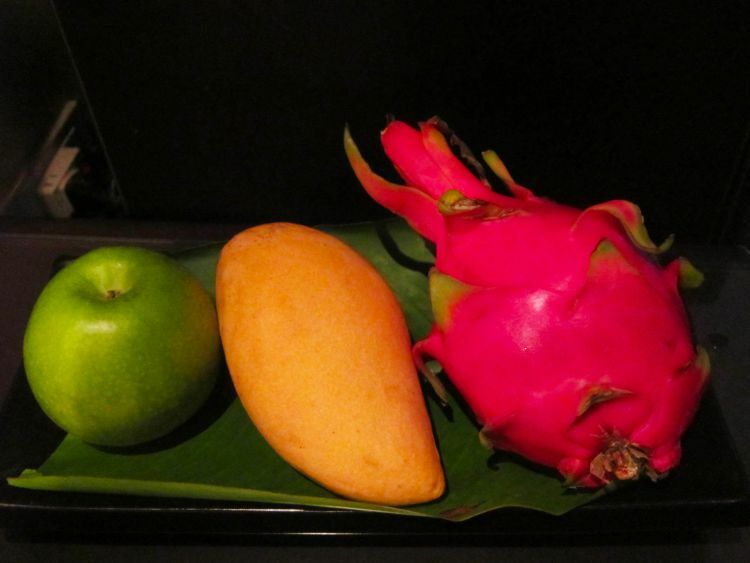 A welcome fruit platter of mango, apple and dragon fruit was also beckoning on the side table. Part of my 5 a day! 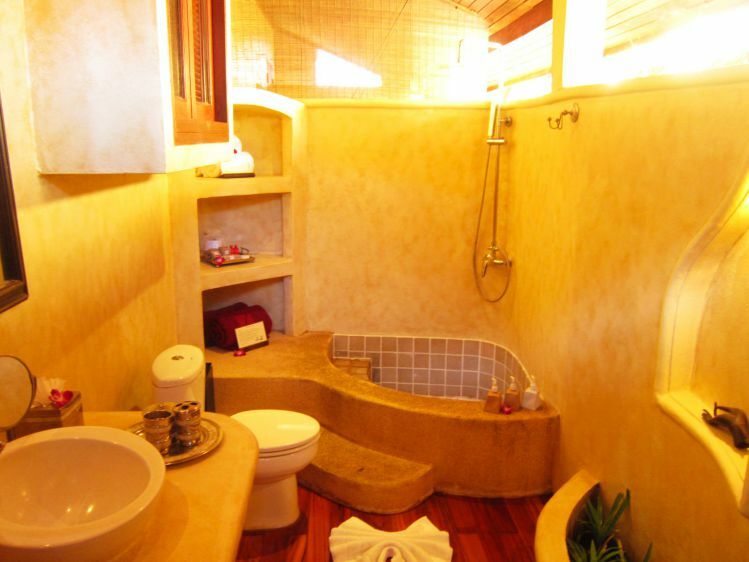 The open air bathroom was light, airy, very spacious and beautifully decorated in a Balinese style. It was fitted with a healing spa rainfall shower and spa toiletries were provided. The only downside with the open air bathroom was that you can hear everything from the bathroom bungalow nearby. Awkward! If you didn’t fancy a day on the beach, then chill out on the sun beds on the veranda and read up on the local news with the complimentary newspaper provided daily. 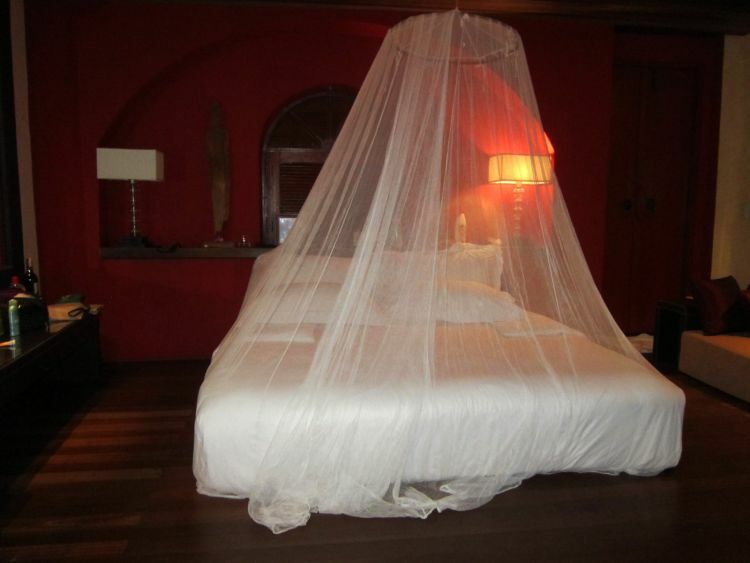 During turn down service, the mosquito nets were tucked around the bed to avoid being bitten and mosquito coils were lit in the bathroom to try and deter them. Although we never had a problem with mosquitos during our stay. Turn down service – the mossie net in all its glory! 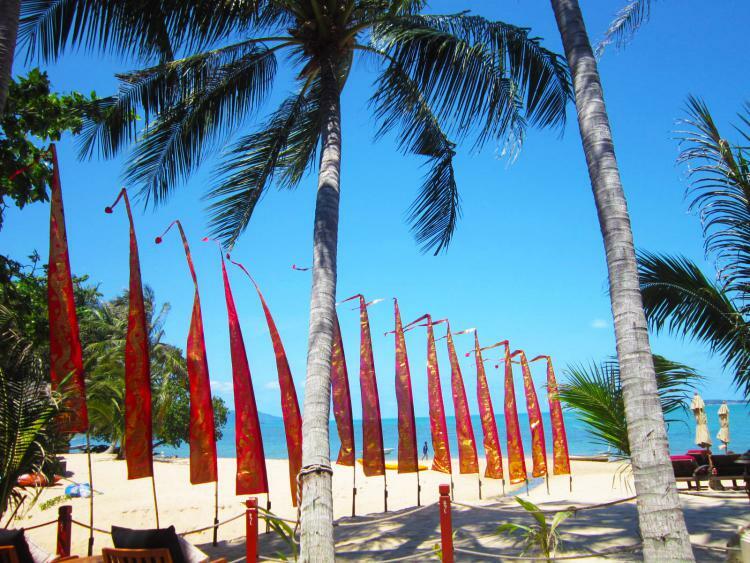 A beachfront, fine dining restaurant with stunning views of the bay, offering delicious Thai cuisine. A foodie delight! 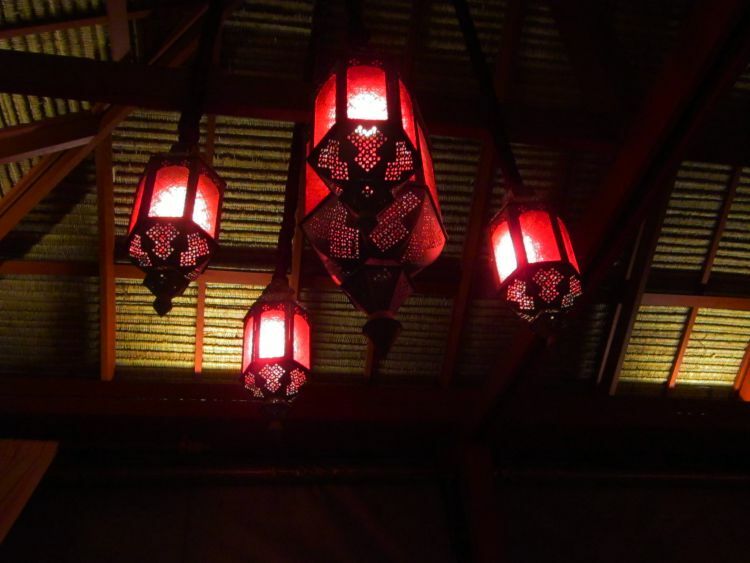 Zazen restaurant was very formal and dimly lit to match the romantic ambience. The sound of the waves lapping in the background whilst enjoying our sumptuous meal was the icing on the cake. Sipping on our cocktails we were served an amuse bouche to get our taste buds going. We didn’t order any starters but headed straight for the main courses. 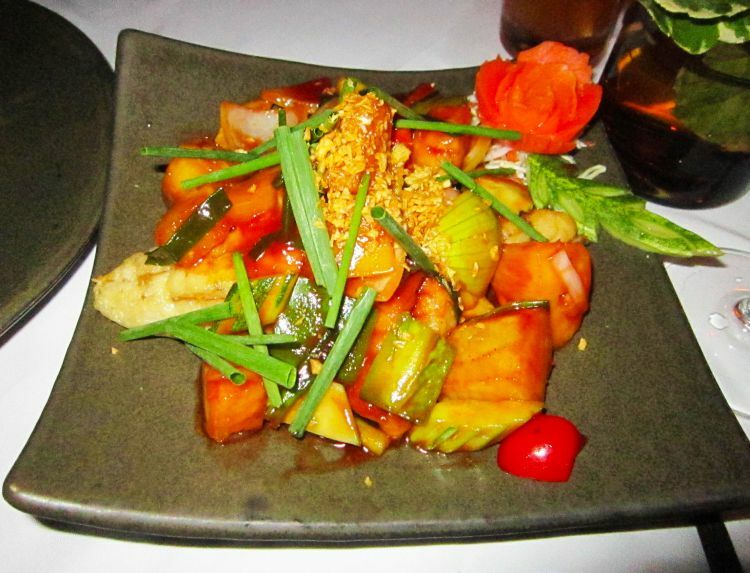 The sweet and sour fish was divine, perfectly cooked and covered with a slightly sweet and yummy sauce. 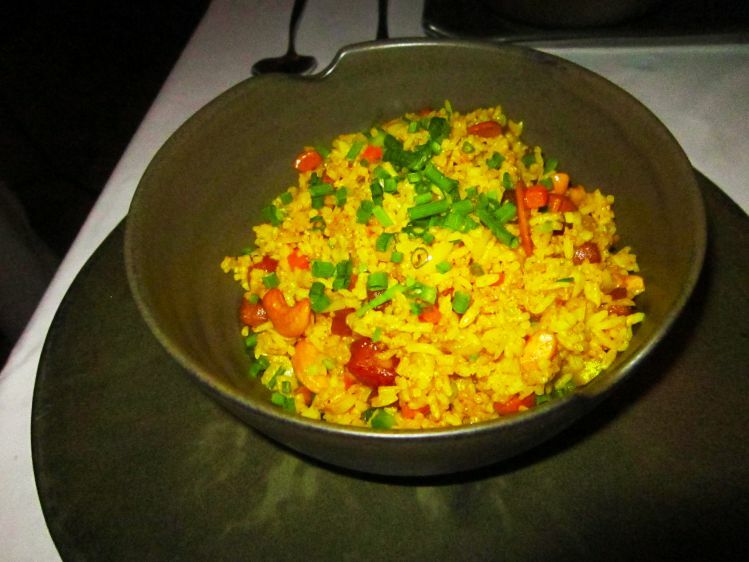 A side dish of fluffy fried rice with chinese sausage was also chosen. If you’ve not tried chinese sausage, you definitely must do as it’s unlike most sausages you’ve probably ever eaten; chinese sausage is semi-dried, sweet and salty. Brought back memories of home cooked food. 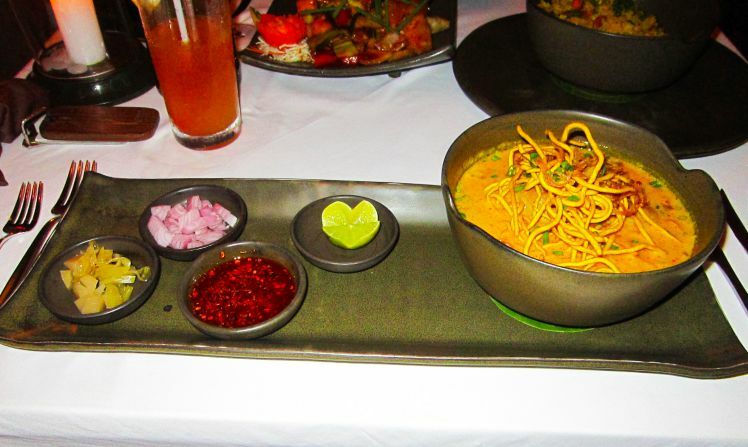 The final main dish we ordered was Khao Soy, hands down the winner! 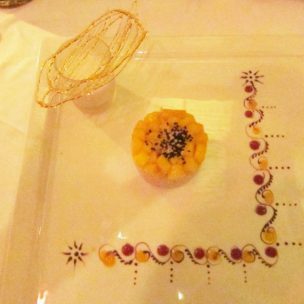 We became a little obsessed with this dish whilst travelling and hunted it down in every restaurant. A Northern Thai dish of tasty egg noodles with chicken cooked in a rich coconut curry sauce. A dish fit for a king (well, I thought so). During a couple of our meals, we had the opportunity to watch a traditional Thai dance – what great entertainment to end the evening. The Thai dance show is held every Thursday and Sunday at the restaurant. 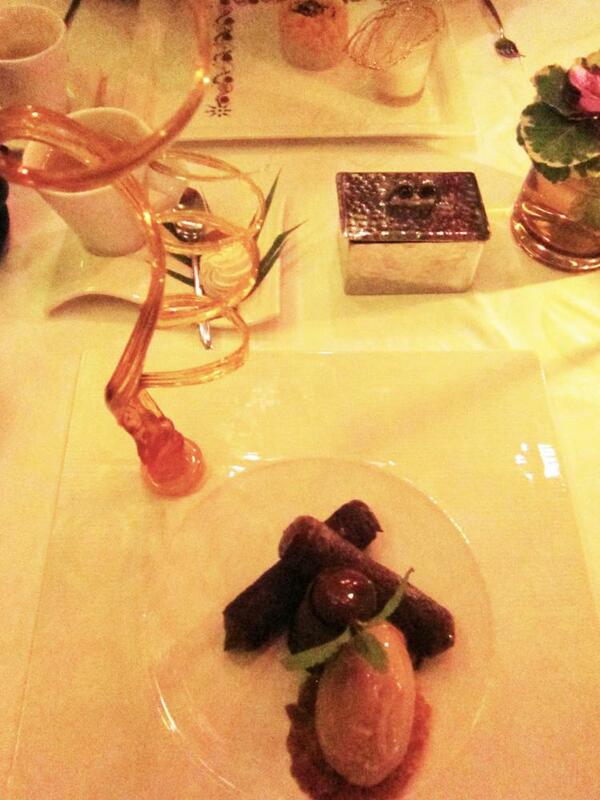 Ending our meal with desserts was a must. 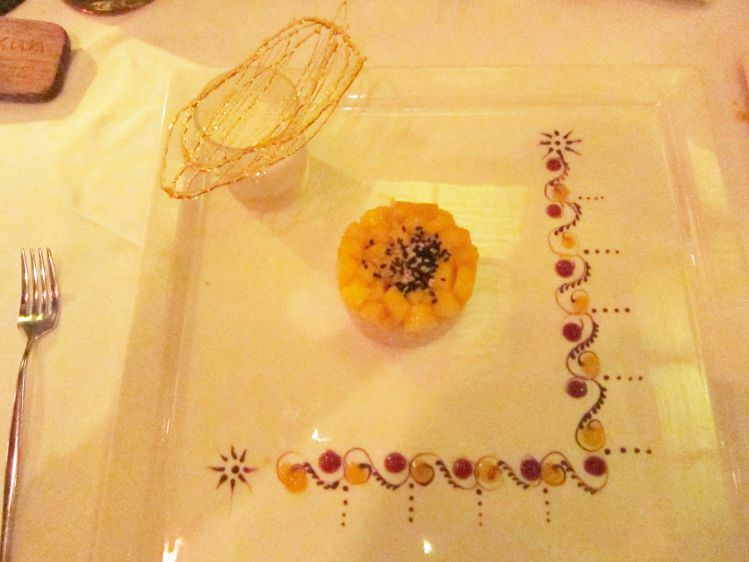 Ian chose sweet mango cooked in coconut sticky rice with delicately hand drawn swirls of coulis around the plate. I ordered the chocolate tube filled with mascarpone and creamy coffee ice cream to balance out the sweetness. 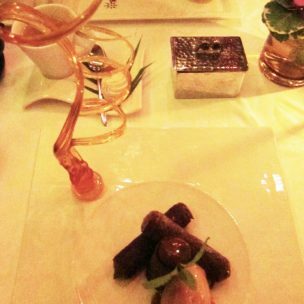 The chocolate dessert was a work of art on a plate, complete with a tall tower swirl of toffee perfectly balanced upright. All in all, dinner was superb! 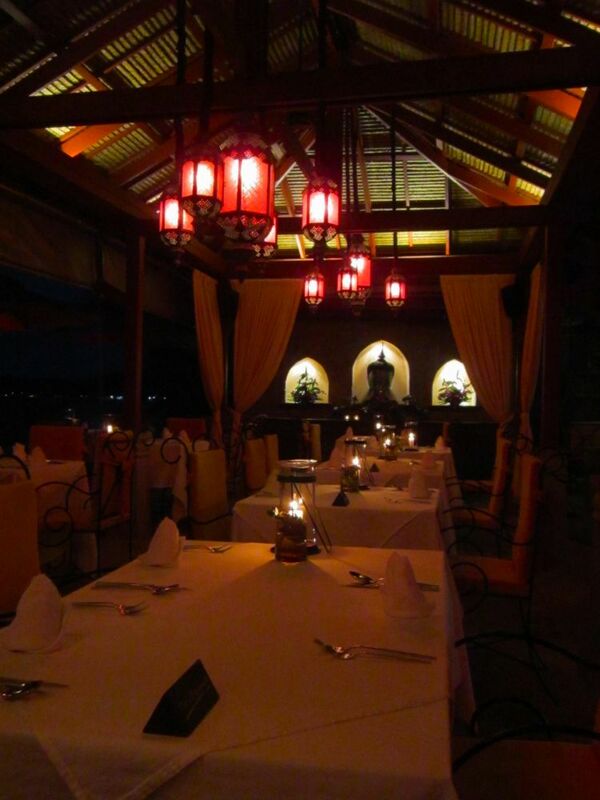 Tip: Reservation is essential for the Thai Dance Evening and if you want to sit overlooking the sea. Breakfast was included with the room rate and served in Zazen restaurant. There were local and Western breakfast options available. Buffet breakfast consisted of an array of exotic fruits, homemade pastries, cereals, eggs benedict, pancakes, teas, coffee and fruit juices. 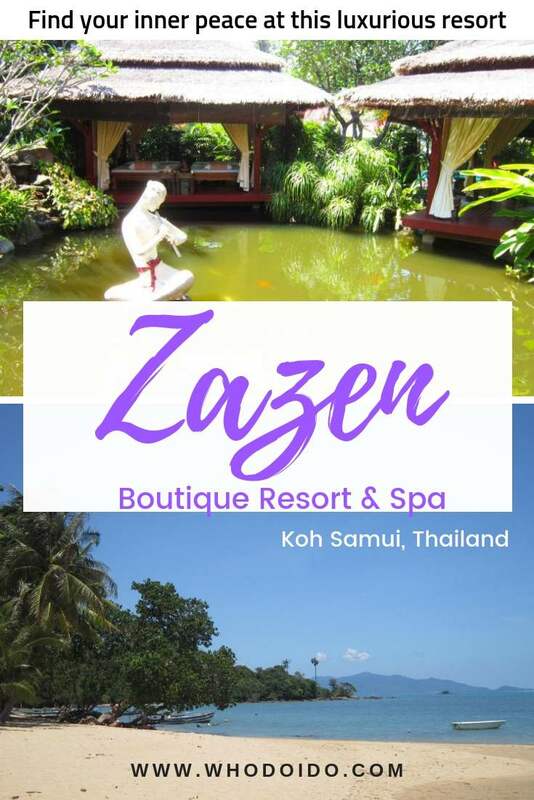 Zazen Boutique Resort & Spa also offers pre and post dinner drinks at Rouge Lounge and for those who miss their ‘cuppa tea’, book a traditional afternoon tea of pastries and savouries at Le Salon De Ti. A romantic dinner on the beach under the stars? Why not. 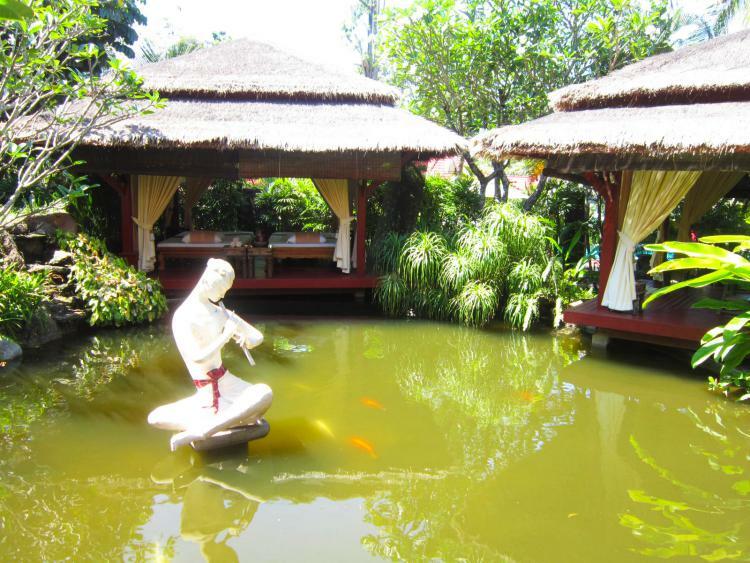 The hotel can organise a candlelit dinner in a private Thai Sala, with the meal prepared by the master chef and served by your own private butler. Relaxing and topping up the tan on the comfortable loungers on the private beach was bliss, especially with the lack of hawkers around. No one to pester you to have a massage although we did have some wonderful local ladies come around the far edge of the private beach selling a huge range of bikinis. After a bit of bartering by Ian he got 3 different types in some exotic colours for a bargain! Underneath the restaurant, the private little alcoves shaded us from the peak sun and were a perfect way to enjoy a few cocktails from a very attentive beach service. There’s a luxurious spa on site, offering various treatments and massages. 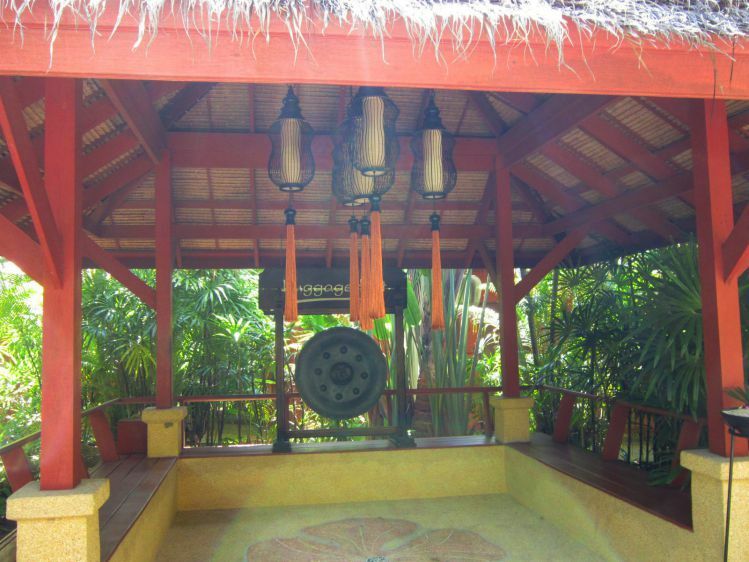 We booked in for an hour and a half traditional Thai couples massage set in beautiful tranquil gardens, in a private curtained sala over a large meandering koi pond – we felt very invigorated after the treatment. Definitely book a massage if you’re here. 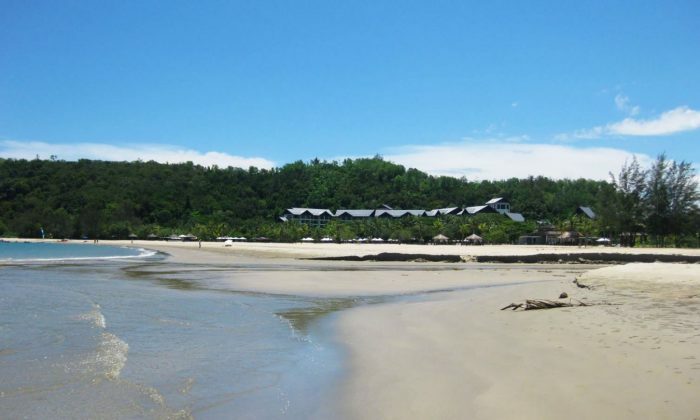 The fisherman’s village is about 10 minutes walk away and here you can browse the small boutiquey shops, visit the markets, quench your thirst at one of the many bars or dine in any of the wonderful restaurants or cafes scattered around the beach or village. You can also catch a boat to visit some of the nearby islands and swim, snorkel or kayak. Or can even hire a scooter for a great price and venture along the coast roads but beware of the traffic and steep hills! We flew with Bangkok airways from Phuket; there are many flights a day from Bangkok, Singapore, Hong Kong, Kuala Lumpur, Shanghai and Dubai. 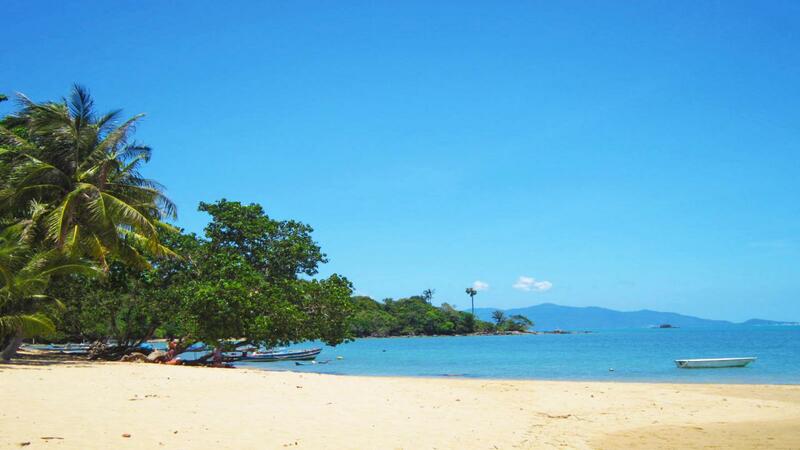 You can also reach Koh Samui by ferry from the ports of Surat Thani or Don Sak from the mainland. Koh Samui has to be one of the prettiest airports we have been to with the water feature running through the airport and the neatly lined shops. 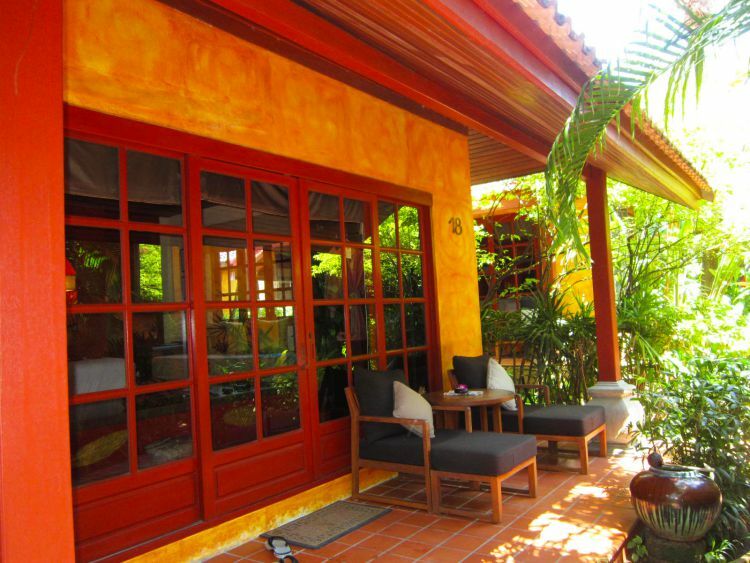 Zazen Boutique Resort & Spa is a romantic boutique hotel offering beautiful bungalows with views of the garden or the private beachfront. 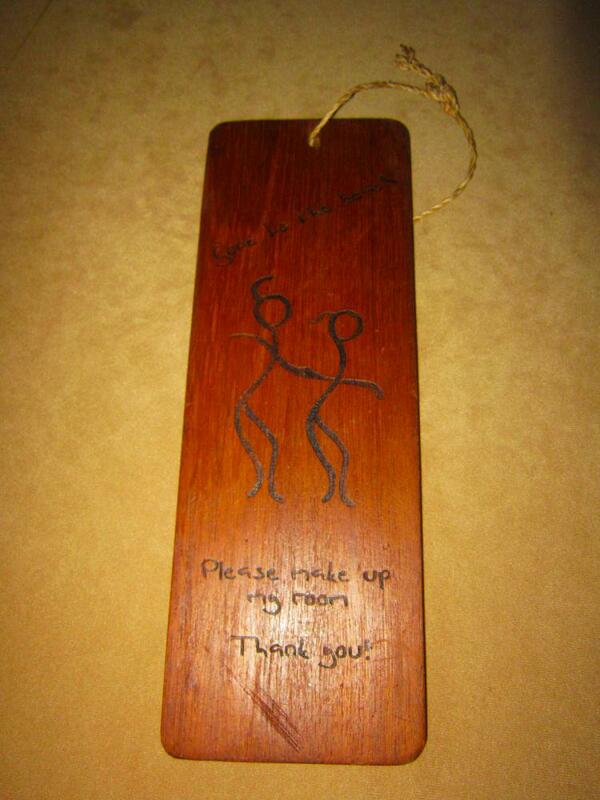 The resort is family friendly but attracts more couples. The food is fantastic at the restaurant overlooking the Gulf of Thailand and the Spa is out of this world. 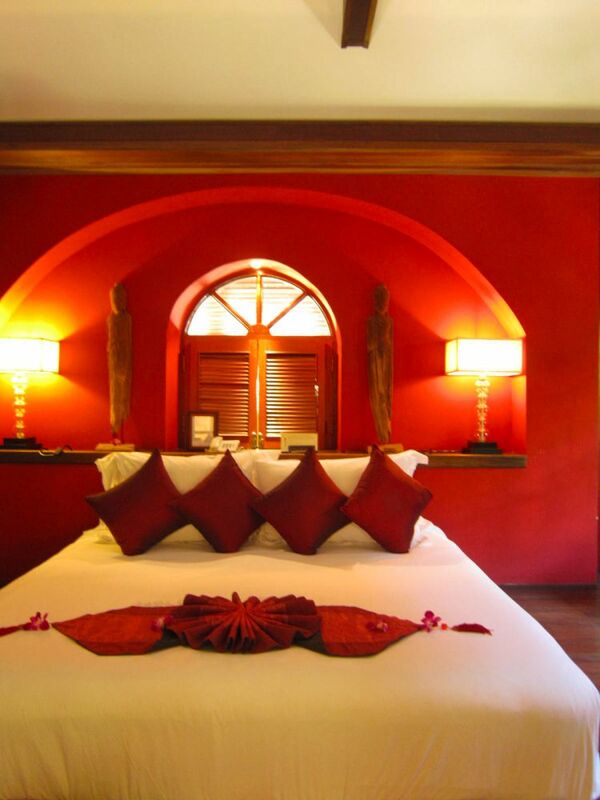 The staff were amicable and very professional and went out of their way to ensure our stay was enjoyable. 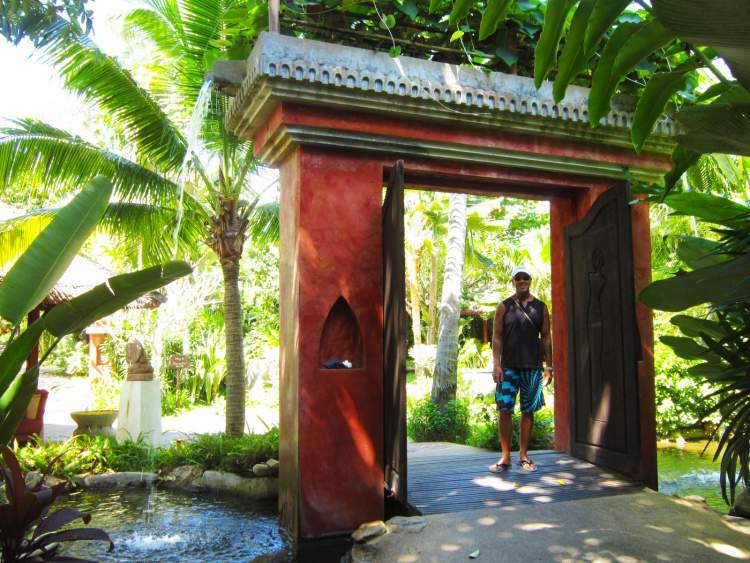 Highly recommend staying here in Koh Samui. 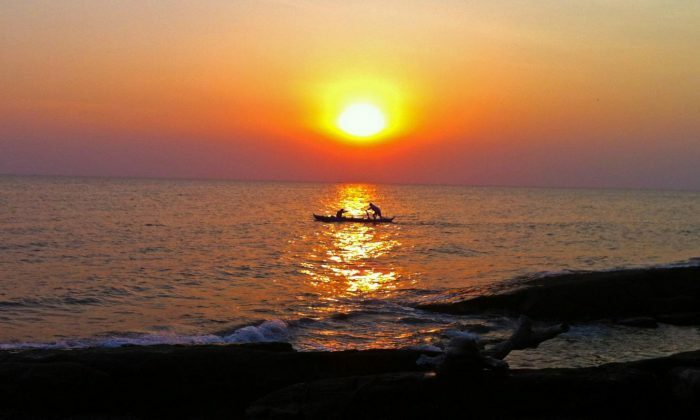 Have you visited Koh Samui? 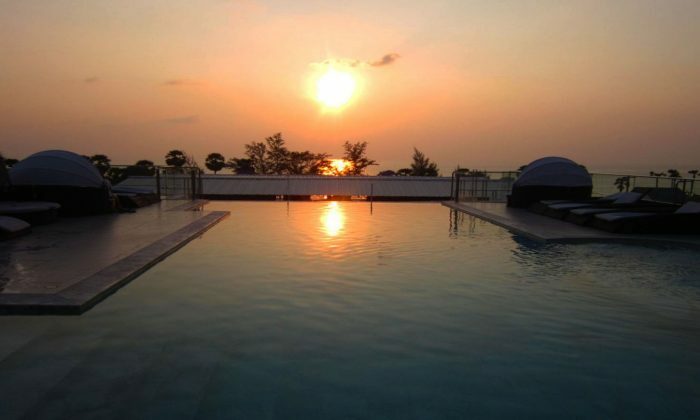 Where would you recommend staying in Koh Samui? What a beautiful place! You travel to some of the most gorgeous places..thank you for sharing! Hi there! I love your blog and nominated you for the Blogger Recognition Award! 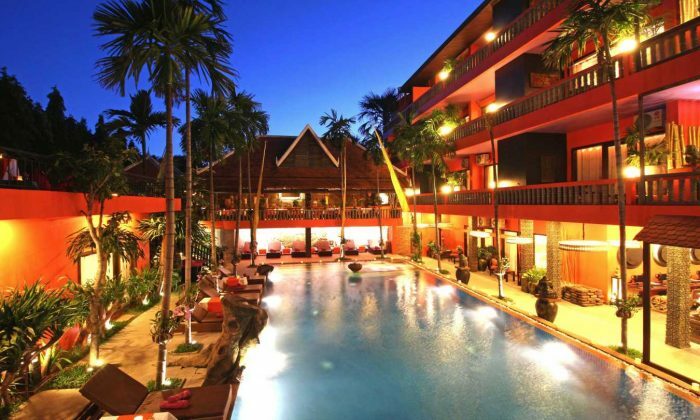 I always wanted to go to Thailand in a beautiful resort like this one..
We can definitely recommend it! And yes the food was truly yummy… When you get away from many of the tourist areas Thailand is beautiful and there are some really lovely places to stay and not overly expensive too. Hope you make there sometime soon. Thanks for posting and enjoying reading your blog too… you have a lovely portfolio of wedding photo’s! Have spent 1 week at Zazen 7 years ago, happy to see that it is still so lovely! I remember the fantastic food for dinner 😄 Thanks for the recall !